The Developer Preview for Android P is finally available, but only on Google Pixel phones for now. Luckily, we have a Google Pixel 2 in the office, so we installed it right away to give you some insights into the new system. Dave Burke's blog post about the new features in Android P is pretty detailed. However, many of these will go unnoticed, because they are only relevant for app developers. A few other new features are reserved for smartphones equipped with stock Android, which will receive an update to Android P soon. Google has added some new design accents to the Developer Preview. This is immediately noticeable in the notification bar, where Google has reworked the functionality, making it easier to see whether Wi-Fi or Bluetooth have been activated, for example. The curves on the individual menus look nice, and the sub-menus have disappeared, which is a welcome change: on Android 8 for example, there is still a small detailed menu available beneath the icons, but this is hard to reach. Now, it will be much easier to perform certain commands, such as deactivating Bluetooth. At the moment, you press once to activate the quick settings, and tap and hold to see more settings. If you want to use several quick settings, you can swipe horizontally through them. Now, Google has changed the arrangement and you can now swipe up and down instead, which works surprisingly well, especially because you're less likely to accidentally close the notification bar this way. So, you're one of the lucky ones with a Pixel, being the first in line for the Android P update? Then you've probably realized that you don't even have the 'trendy' notch yet. Fear not, Google has you covered with a notch simulation (should you actually want it). This is mainly intended for developers who can use it to simulate what their applications look like on a device with a notch, so don't panic, it doesn't mean the notch will appear on all Google phones. You can activate the simulation either in the developer settings or as a theme in the display settings. Most people probably won't be interested in doing that, simply because the Pixel doesn't have a notch in the first place - and hopefully this will stay the same for future generations! If you're a developer, you can try out several versions of the notch, but these cannot be customized, so how useful can this feature really be? After this, the notification bar is even bigger, taking up more precious space on the small Pixel 2. On the screenshots, the notch can sometimes be seen, but most of the time only the larger notification bar is visible. Screen-shotters, take note. You can now add a few arrows or text to your screenshots with the markup app, which can now only be found in the context menu of a recently saved screenshot. Currently this app is only available on the Pixel 2 and Pixel 2 XL. In the settings, Google has banished the boring gray and introduced some colorful setting icons. This is definitely a nice feature, but you may find the different dialog boxes disappointing. Only basic information can be seen for both battery consumption and for individual apps, and the exact listings from Android Oreo can only be seen from the developer settings. As a consolation, you can now adjust the control of the power saving mode and start it automatically as soon as the battery power gets low. The system has generally been stable, but it has had one or two issues: Gmail notifications didn't arrive, which is why we haven't yet been able to take a close look at the new features. We'll follow up on that as soon as we can. Google has kept its word: the Preview is great for developers. Google's hard work has paid off here and there, and designers have successfully optimized the system and made it more user-friendly, although most users won't notice the subtle tweaks. 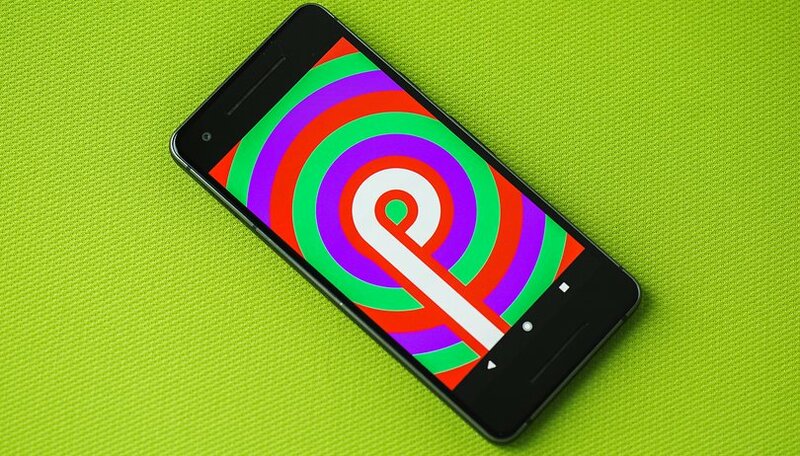 The brand has a lot going on behind the scenes, so Android P is destined to be an interesting update. However, a real highlight is currently missing: Android Oreo's Auto-fill API was one of my favorite features that password managers integrated into the system. But, there is still time for Google to come up with some surprises before Google I/O! Overall, some interesting features have been introduced, but at the moment, there isn't anything that would make you go 'wow', unless you're a developer. We can't say for sure which features are there to stay, as there is a long way to go before the final version rolls out. Keep your eyes peeled for more updates. Have you tried out Android P yet? What features would you like to see? The notch is here to stay until we get tech to shoot through the screen itself. Or popups like that demoed at mwc. Uh oh, google has given in. Will the next pixel have a notch? I hope not. There must be a better way, engineers need to work hard to find something better. I've read somewhere that some mfg is working on a under-glass solution. The first one to do this, and have a under-glass fingerprint reader, will get praise from me. Having that will be a technical revolution for phones, instead of entertainment features, that doesn't push technology anywhere, like emoji stickers, or putting a interactive dragon on your screen(so what, tech could do that for years, and I really don't see anything, except ikea , and the ilk).